To honor Bonnie Tempesta's achievements in the world of food, wine, and hospitality, the San Francisco chapter of Les Dames d'Escoffier has bestowed an honorary membership. Dame Dru Rivers of Full Belly Farms wins prestigious conservation award. 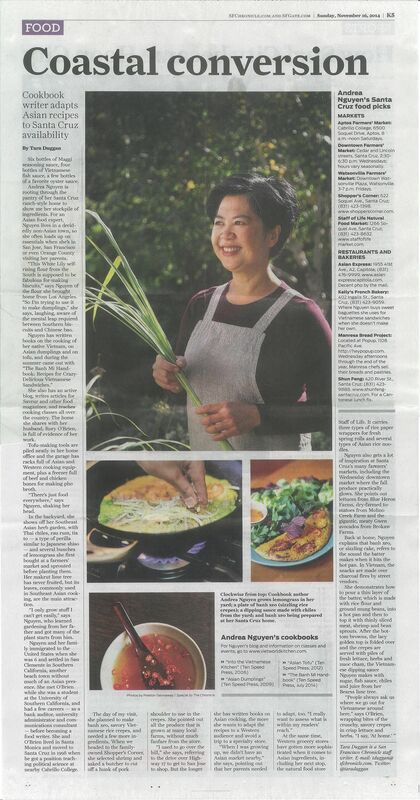 Cookbook author and new dame, Andrea Nguyen, shares with Tara Duggan of the Chronicle her secret insights into her cooking! 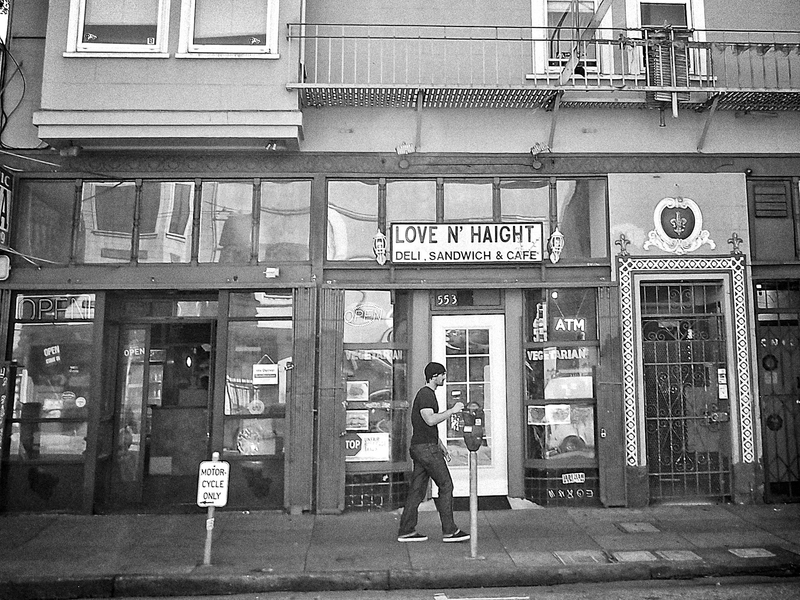 Flowers in our Hair: from the streets of San Francisco, an exhibition of Dame Jeannette Ferrary's street photography exploring the neighborhoods of San Francisco, from Dogpatch to North Beach to the Castro to Treasure Island. Gallery of the San Mateo Library, 55 W. 3rd Street, San Mateo. Dame Terri Sandison announces her cookbook release for Mexican Flavors! We are happy to announce Dame Teri Sandison's launch of her 16th and newest cookbook: MEXICAN FLAVORS - Contemporary Recipes from Camp San Miguel. It is hardcover book format, with 120 of Hugh Carpenter's original recipes from the cooking school in San Miguel de Allende, and 130 of Teri's great photos of the recipes, foods, and culture of the town. Stop by for a glass of wine and some appetizers! Hugh Carpenter and Teri Sandison will be signing copies of the book. Please specify how you would like the book signed, and we'll put it in the mail to you. LDEI-SF Dame and SAGE President and Founder Sibella Kraus was awarded a 2014 Growing G reen Award in the category of Regional Food Leader at a ceremony on May 14 in Berkeley, California. Presented by the Natural Resources Defense Council (NRDC) and the Berkeley Food Institute (BFI), the sixth annual Growing Green Awards celebrate four remarkable leaders who are advancing sustainable food and agriculture. The award recognizes Sibella’s more than 30 years working in the field. Oakland chef Tanya Holland ready for the big stage! The San Francisco dames mourn the loss of Judy Rodgers who passed on December 2nd at Alta Bates hospital in Berkeley due to complications of complications from appendix cancer. Our chapter would like to honor her with a Les Dames Culinary Scholarship in her name, much like our Karola Saekel Craib Fellowship. We hope to organize an event to honor Judy and will keep you posted. To honor our late Grande Dame Marcella Hazan, Dame Kathleen Thompson Hill will re-play the last radio interview with her this Friday, Oct. 4. Listen via www.ksvy.org between 10 and 11 a.m. The segment with Dame Marcella plays for 33 minutes. It was recorded in at the bar of Sonoma Meritage Oyster & Martini Bar & Grill, where Readers' books hosted a luncheon for her.